A Thai man who had lived with his wife for just four months was furious that she drank alcohol with her friends. And she liked to stay out all day. And he thought she had a fancy man. When Janthima, 43, didn't come home on Sunday night Sanit, 46, confronted her. He punched her in the eye then beat her to death with a pestle. 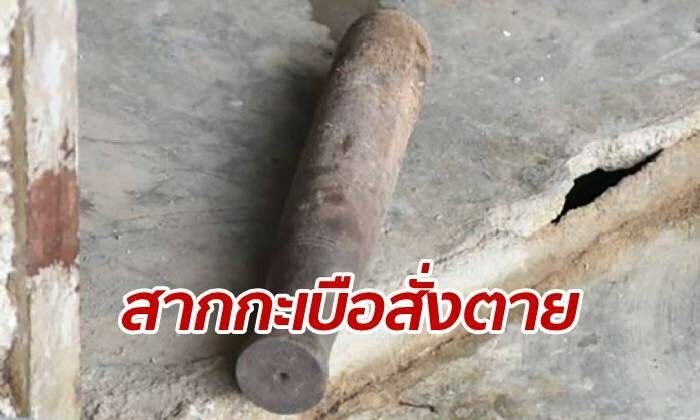 Cops in Chantaburi found the bloodstained murder weapon and a bloodstained knife at the scene in Klong Phlu district. Janthima was face down by the door and dead from blows to the head. Sanit was waiting for the cops when they arrived on Tuesday. He told them the reasons for his drunken rage. They charged him with assault occasioning death and detained him. A case of 'somtam nam na,' perhaps? Well, that solved the immediate problem. Will her friends be drinking at her funeral? This happens rather regularly here yet no one protects these girls from animals like that. ^Life among the untermensch. Horrendous murder and abuse stats amidst the Thai drinking classes. He told them the reasons for his drunken rage. So he can get Pissed but not the new missus? Her punishment bludgeoned to death !